Female, common darter I presume, (Sympetrum striolatum) with prey. Excellent detail of the dragonfly and prey, nice background. 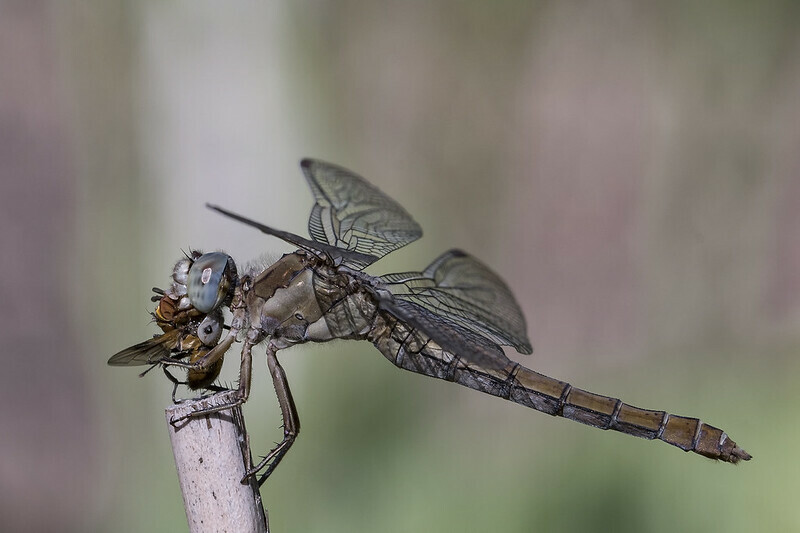 Excellent details - quite unusual to capture this darter with prey- very well done! Good capture of predatory action! Great find, nicely taken @zook!